Addressing the Republican Jewish Coalition, Governor Chris Christie accidentally dropped a geographic f-bomb that left him apologizing to the gathering’s sponsor, leading GOP cash donor, Sheldon Adelson. And all that poor Governor Christie had done, was to use a perfectly correct term. What went wrong? How is it there are times in public speaking when using the correct words can be fatal to your message? The political goal of speaking at an RJC event is a simple one: Impress your pro-Israeli credentials on Sheldon Adelson, and the event held at Adelson’s Venetian Hotel in Las Vegas attracted multiple Republican hopefuls. John Kasich of Ohio was there, as was Scott Walker of Wisconsin. Jeb Bush put in an appearance at the fringe, and of course, Chris Christie was center-stage. 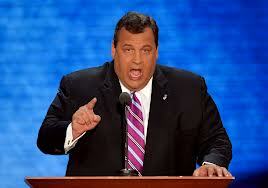 Christie gave a passionate speech. Everything was going wonderfully, until an unfortunate reference to “the Occupied Territories” accidentally slipped a non-Kosher item onto the buffet of his pro-Israeli credentials. Check your editorial style guide and you’ll find that this is the correct term for much of the land disputed between Israel and the Palestinians. Its the correct word. Why therefore did an audible hiss arise from the room, and why did Governor Christie find himself having to apologize for his hideous error? There are times in public speaking, when the correct term can be decidedly the wrong message. A speaker’s first goal is to move their audience, and to move the audience in the direction of their argument. They have three tools with which to do this – the logic of their argument, their use of emotion, and their ability to convince listeners that they, the speaker, see the world just as the audience do. This last tool is known as “ethos” – persuading the audience to trust your viewpoint. It’s here that Governor Christie slipped. For ethos, choice of language is crucial. If your audience uses a specific term to refer to a specific entity, then you had better use either the same term or a close approximation. By using the term “Occupied Territories’ in front of an Israeli interest group, Chris Christie did the opposite. During his 2012 presidential run, Mitt Romney fell into the same trap. His attendance at Nascar was a good attempt at ethos: I like Nascar, therefore I’m an ordinary guy like you. His statement while at Nascar however, that he had friends who “owned Nascar teams”, was an example of how it can all go wrong. Rand Paul meanwhile is highly accomplished at using ethos. His speeches are tailored precisely to the audience. Close attention is paid to turns of phrase. His recent appearance at Berkeley was a case-study. Paul also obfuscates. He occasionally rambles off in what appear to be artless loops, but those loops are specifically placed to charmingly blur the focus of the audience. Whenever Rand Paul rambles, you can be sure he is acutely aware of a contentious topic lurking nearby. Paradoxically it’s this apparent deviation from message that helps him to remain on message. How would you refer to the lands contested between the Israelis and the Palestinians? Unless you have a close involvement with the topic, I’m sure you might use phrases such as “Gaza”, or “the West Bank’, or maybe “Palestine”. The phrase “Occupied Territories” doesn’t exactly trip-off the tongue. It has the same tenor as Former Yugoslav Republic of Macedonia – the sort of name that could only be created by committee. That’s why I’m sure this wasn’t a case of Chris Christie mis-speaking. I’m sure that this was scripted, and scripted by a speech-writer who first did their due diligence by confirming precisely the right phrase, but then blew the speech out of the water by forgetting who the audience was going to be. Yes there is always a correct way to refer to something, but no it isn’t always a good idea to use it. In all types of speaking, whether place names or industrial jargon, the first base needs to be finding out not which words the dictionary uses, but which words the audience use. Make those words your own, and the audience will follow.